Good morning, lovelies! As you read this, I'll be on a flight to New York with my lovely friend Janis for the very first time!!! Now I know this might not seem like the biggest deal in the world to some of you, but going to NYC has been my dream for longer than I can remember, and I'm beside myself with excitement — Eeeeek! Janis and I plan on getting into ample shenanigans while away (including IFB, FNO and as much shopping as we can handle! ), and naturally we want you guys to be a part of it. So with that in mind, we'll both be blogging throughout the trip, giving you guys live updates here and on Twitter and Instagram... Get ready! wow...never to nyc before?!?!?! you'll have a great time! do some shopping for me! Keep us posted! Have fun! I am super incredibly jealous! Have so much fun! And omg I've been eyeing those booties forever online! I'm so confused with the new sizes! I used to be a 38 which is an 8 but who knows what I am now hhaha. eeppp! So exciting! You are going to take NY by storm! I love what you did here with these prints!!! So excited for you both! I hope you have an amazing time, and I look forward to following your adventures! Liked your blog!!!! Will start to follow! * The outfit would be too much for me to try, but i like this mix inspiration idea! 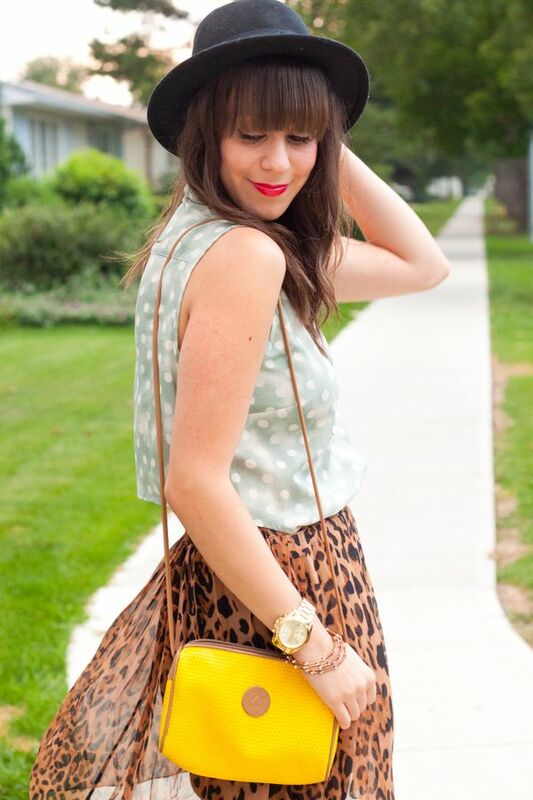 LOVE how your skirt matches your leopard booties!!!! I hope you have a fantastic time in NY and that you had a great Labour Day weekend. Your newest follower! Love the leopard booties! Fab! Hope you will stop by and check out my blog as well! Beautiful lady! those booties are amazing! Adore this outfit! Love the leopard! This is such an adorable look! I'm normally not a huge fan of leopard but you pull it off perfectly.